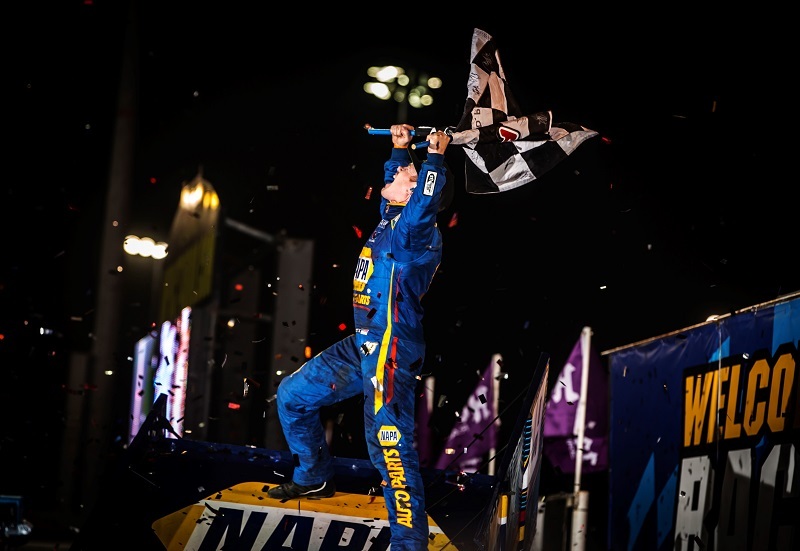 Brad Sweet forever etched his name in the history books, edging ten-time Knoxville Nationals Champion Donny Schatz by 0.133 seconds in the second-closest finish in the 58-year history of the event. 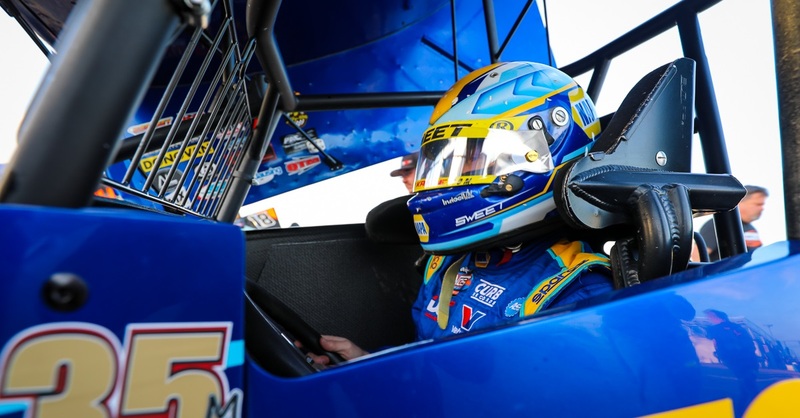 The NAPA AUTO PARTS team headed to Southern Iowa Speedway in Oskaloosa, Iowa, on Monday for the Front Row Challenge, a night worth $20,000 and another opportunity to get a test and tune shake down before qualifying nights for the Knoxville Nationals. Sweet went out fourth quick, placing him in the fifth starting spot in the fourth heat. 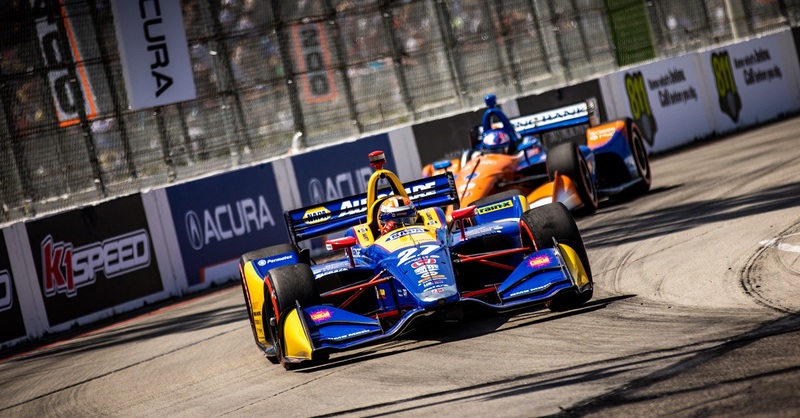 The NAPA AUTO PARTS team jumped to second place within five laps, transferring them into the A feature event. After a few changes, the team was ready for Sweet to start in the third spot for the 30-lap feature. By lap eight, Sweet had moved into the second spot and set his eyes on the leader. With laps winding down, Sweet began to cut into the lead. 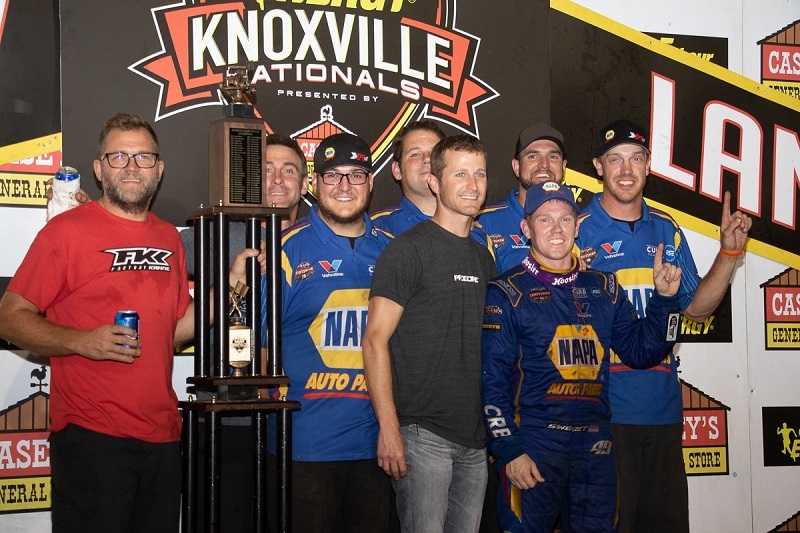 The NAPA AUTO PARTS team finished second and looked forward to their qualifying night back at Knoxville Raceway. 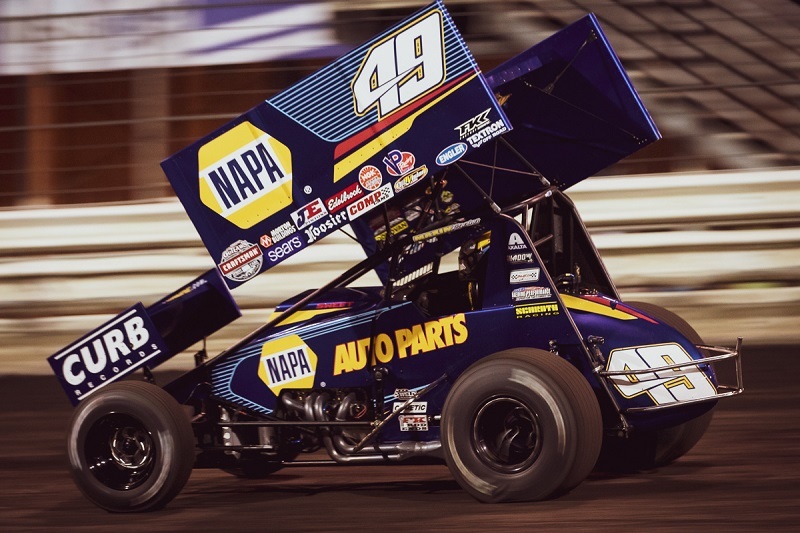 Thursday quickly arrived, and the NAPA AUTO PARTS team was one of 51 cars to take a time at the famed Knoxville Raceway. Sweet went out first and wound up in the fourth spot. With points being given for each position, it was important to advance into the top three of the heat races. Sweet started in the eighth position in the fourth heat race and had only 10 laps to pass five tough cars. 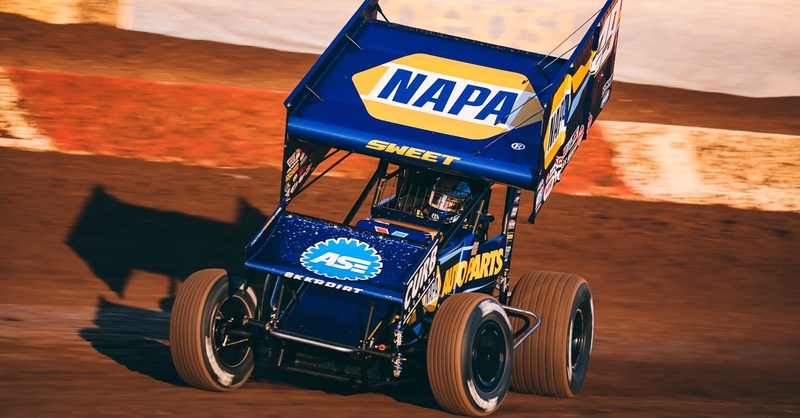 Sweet took advantage of a very fast NAPA AUTO PARTS No. 49 car and charged to the second position. The second-place finish gained him valuable points and put Sweet and his team into the feature event. With an invert type format being used, Sweet started in the sixth position for the night’s 25-lap feature event. Through the first two corners, Sweet passed and split cars like they were standing still. He charged to the lead within the first lap and never looked back. Sweet dominated the field to win by over two seconds, gaining maximum feature points and becoming the top earner. 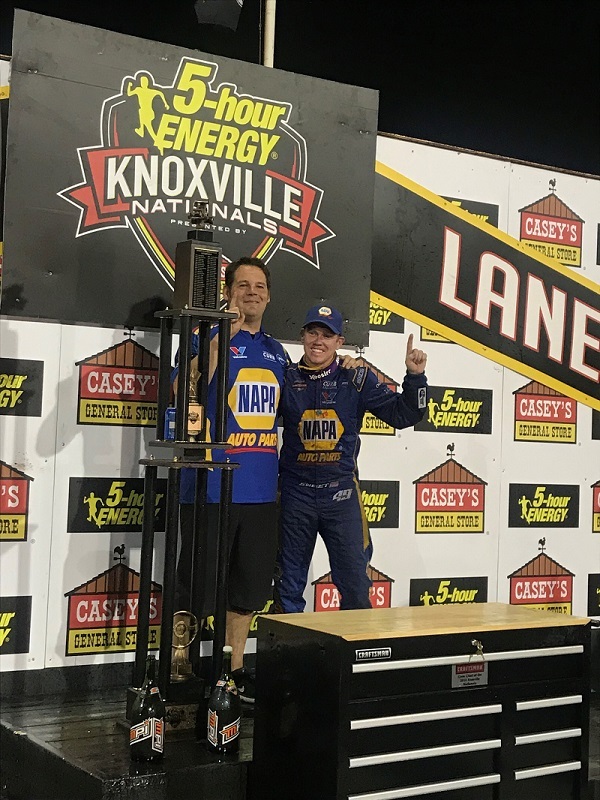 His points lead put the NAPA AUTO PARTS team on the pole for the 50-lap feature finale on Saturday night. By Saturday, the tension and anxiety could be felt throughout the entire town of Knoxville. The feature winner would take home the $150,000 top prize and add his name to the history books. In its 58-year history, only 24 drivers have won the prestigious event. Since 2006, Donny Schatz has been the man to beat, winning ten times and placing a strong second in the other two years. 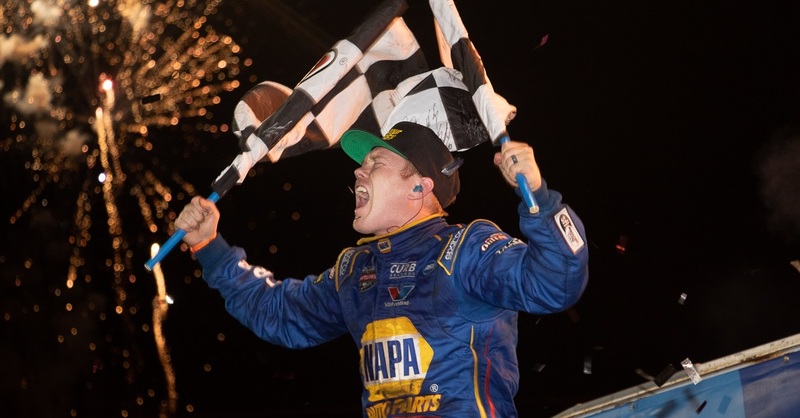 Starting from the pole, Sweet and his NAPA AUTO PARTS team hoped to add their names to the list. Sweet jumped out to the early lead and did not look back, opening up over a four-second lead until a caution at lap 19 bunched the field back up. Sweet controlled the restart and pulled a few car lengths ahead of second-place driver Kyle Larson. On lap 26, a scheduled caution came out, giving the teams three minutes to do whatever they wished to the cars. With only 24 laps remaining, it was a crucial time to make the right changes, if any. The green light signaled the restart, and Sweet had the lead on lap 27 until a hard-charging Larson passed Sweet on the top side. The two battled for two laps before Sweet regained the lead and started to pull away. With only three laps remaining, a red flag was displayed, the last thing Sweet wanted to see with an over one-second lead. Sweet had to run three perfect laps to add his name to the history books. 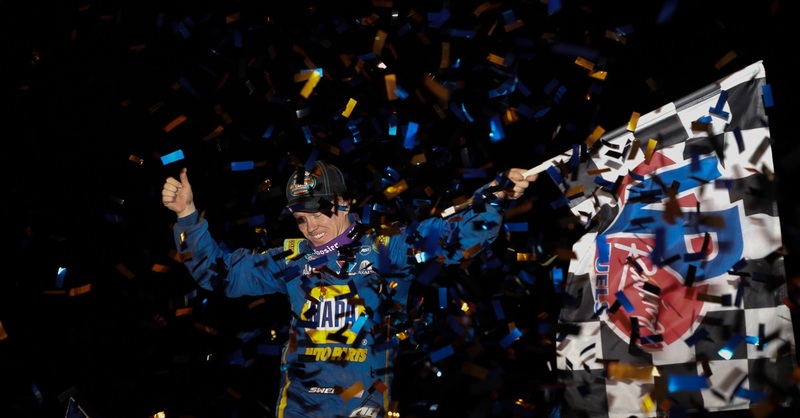 The NAPA AUTO PARTS team continued to lead, but Donny Schatz was closing fast. As the white flag waved, Schatz and Sweet ran side by side. Fans were on their feet to see who would cross the checkers first. The No. 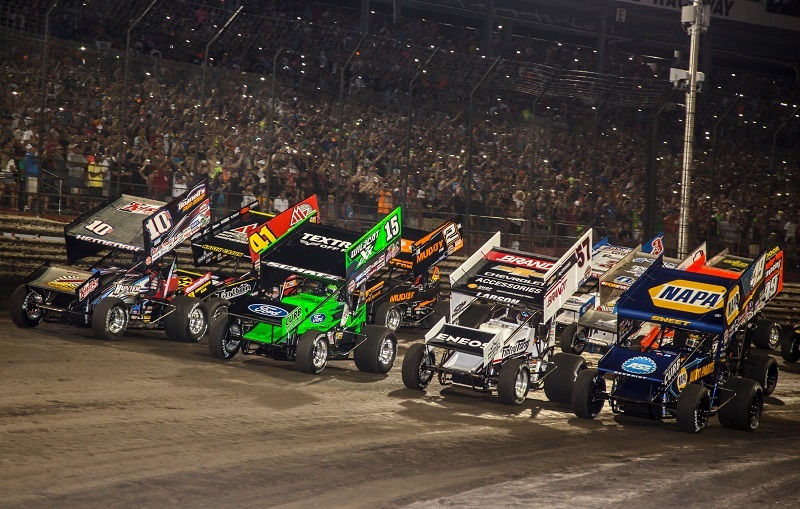 49 team edged ahead, winning their first Knoxville Nationals by a margin of 0.133 seconds, the second-closest finish in the event’s 58-year history. The team will take a well-deserved break and return to action Friday, August 17, in Grand Forks, N.D. Points Standing / Total: 2nd / 6180 pts. Next Race: Friday, August 17, River Cities Speedway, Grand Forks, N.D.